Majority of Nepalis participating in his skiing lessons are still mountaineering and trekking guides. The word still hasn’t spread to the masses yet. Even though we have youngsters expressing their interest in workshops, later on we hear their families didn’t give them permission because of safety reasons. 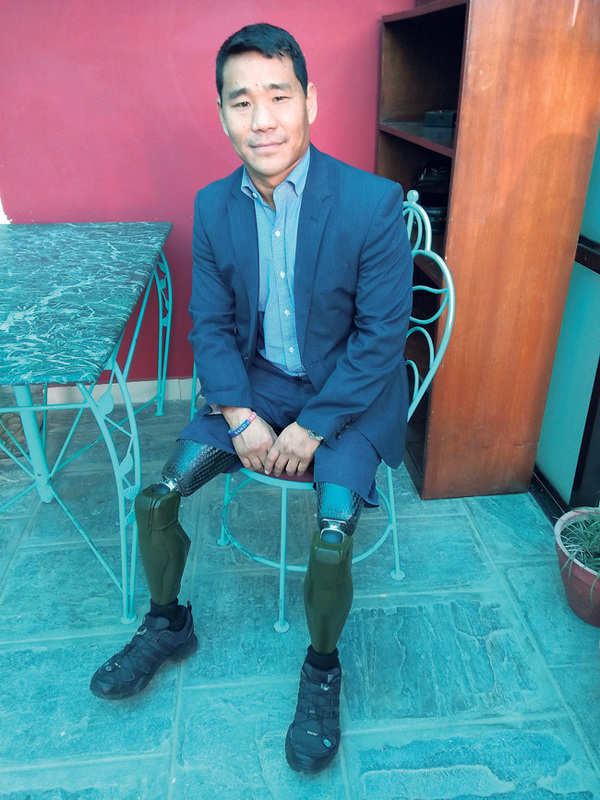 During his nearly 25 years long stay in Switzerland, Krishna Thapa Magar had had plenty of chances to become well acquainted with the Swiss Alps. His passion for hitting the slopes even led to a career as a ski instructor. But it wasn’t only the mountains of his adopted home country that fascinated him. 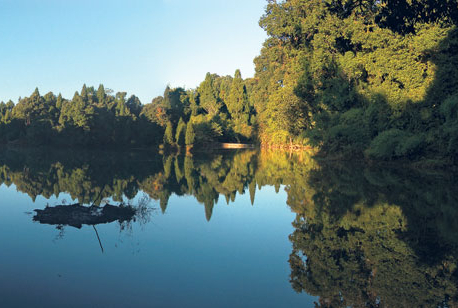 He couldn’t forget Nepal’s famous ranges either. In fact, he shares that it was particularly after taking up skiing, that his thoughts continuously began drifting towards them. According to Thapa Magar, groups have been spotted skiing on our mountain slopes for decades now. However, inevitably they were always foreigners. Before he officially kick-started Himalayan Ski Trek five years ago, he hadn’t seen any Nepali locally participating in the sport and that apparently never made sense to him. “It’s really simple: we have mountains and snow. So why don’t we ski or snowboard?” he says. But since nobody was taking an initiative he decided to start himself. 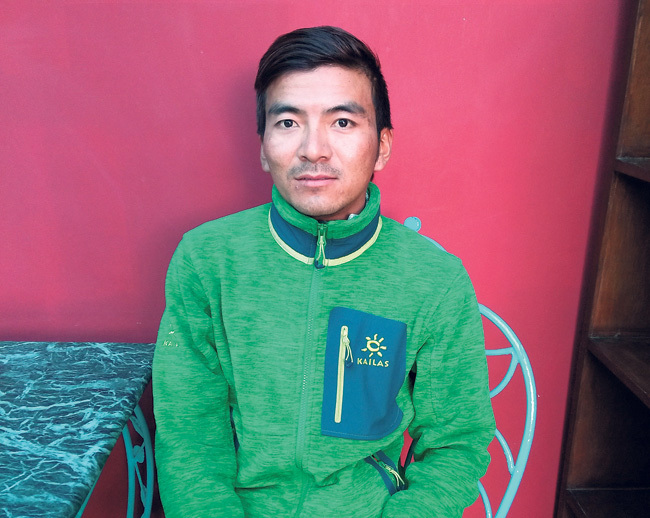 Thapa Magar apparently set out on his own ski expedition. He skied around Dhaulagiri, Muktinath, Manasulu, Langtang and Manang. Though without any prior research and data on the areas, there were risks involved but it eventually paid off. He says he came to a very important conclusion. It wasn’t only the dare devil foreign adventurers who could ski on our Nepali slopes. It was possible to make it accessible for everyone. As a ski instructor, Thapa Magar has been researching various possible skiing spots for the past seven years. Though he admits he is largely relying on his experience, he made records of the crucial basic information of snow conditions, ski slopes, altitude, ski durations, feasible time of the year and so on. Having been part of the ski culture for all these years, he launched Himalayan Ski Trek with the intentions of promoting the sport among the Nepali youth as well. “When we began five years ago, we had four interested Nepali clients and me, the only trainer. This year we are starting our expedition with 150 plus Nepalis and 25 foreign instructors in Gosaikunda for 10 days,” informs Thapa Magar. Himalayan Ski Trek has made this an annual package. 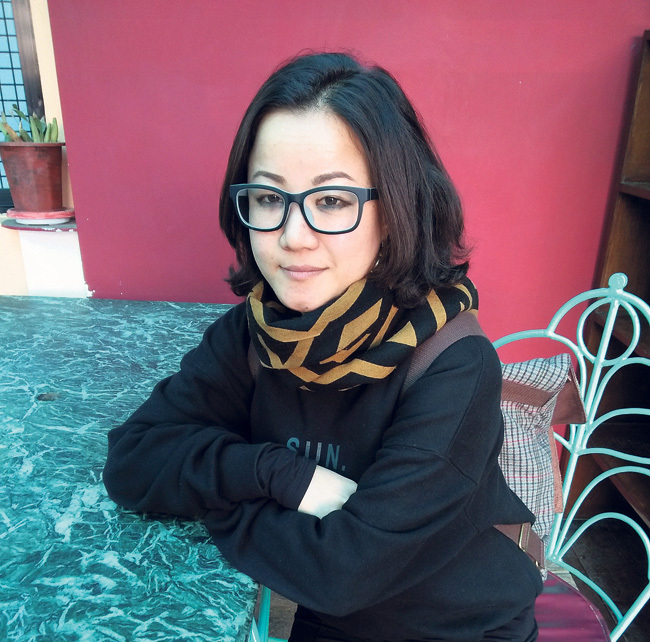 In the last four years, they have apparently arranged lessons for more than 300 Nepalis in the Langtang region. This year, for a change, they shifted to the Gosaikunda region. However, the offer remains the same. 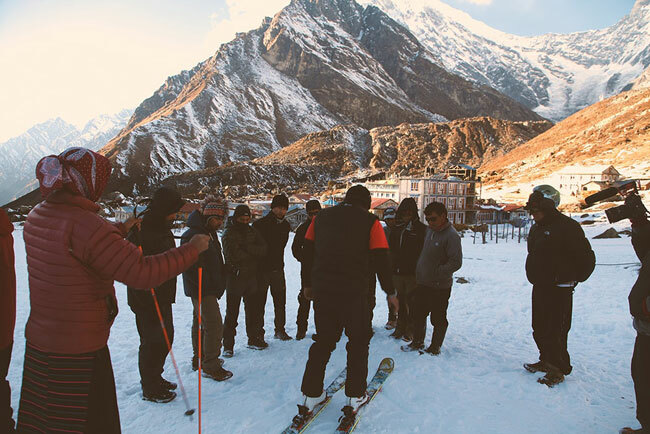 The interested party has to invest Rs 10,000 for food and lodging, whereas Himalayan Ski Trek takes the responsibility of providing the gear, kit as well as lessons starting from the basics itself. It was apparently only two years ago that the government acknowledged Thapa Magar’s initiative and officially also admitted the scope of winter sports to bolster the country’s tourism as well. Thapa Magar shares that the tourism board has asked him to share his research and declared their support for more studies on the feasibility of ski resorts in the future. Other than that however, the tourism board isn’t exactly active in this area. Thapa Magar is still financing the Himalaya Ski Trek package on his own and further, there haven’t been any other programs to promote skiing and snowboarding in Nepal yet. In such a scenario, Thapa Magar also reveals that the majority of Nepalis participating in his skiing lessons are still mountaineering and trekking guides. Due to these very reasons, Himalaya Ski Trek has been trying to be very meticulous with their packages. Before their annual trips, they carry out workshops for all participants to brief them about risk assessment, safety and emergency measures and insurance in hope to establish their credibility as well as gain people’s trust. 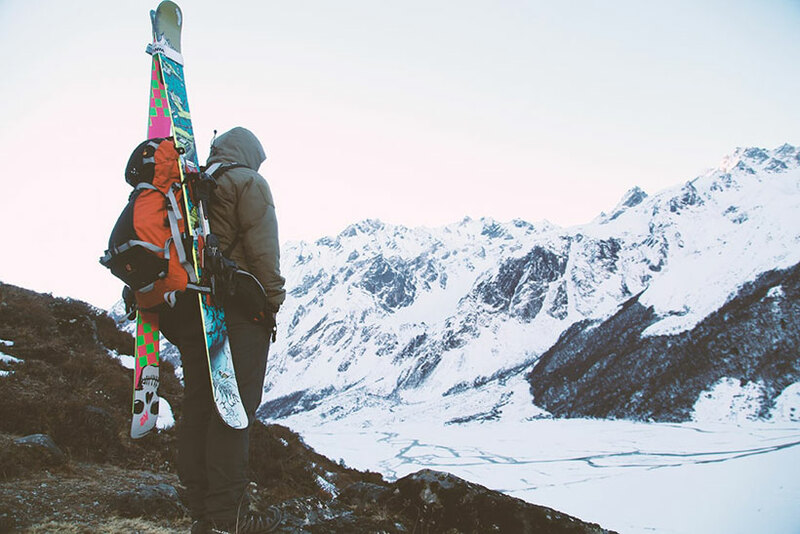 They see all this as the beginning of their quest to establish ski culture in the country. I was the first batch of Himalayan Ski Trek’s training packages. I have been a mountain climber for many years now. I have led expeditions to Everest as well as mountains abroad like in China and Pakistan multiple times, so I had always wondered what it would feel like to ski. Obviously living in Nepal, I had only witnessed the sport on TV. So when the offer to learn the sport came my way, I didn’t want to miss the opportunity. It was tricky initially but five years on and I have become accustomed to the sport. And now more than ever, I’m amazed how we never considered taking advantage of our glorious mountains in this manner before. As a guide, I know many people who begrudgingly close their lodges and hotels during the winters because there are no tourists around. It’s such a lost opportunity. We could easily use all that snow to bolster our tourism. As a skier now, I plan to continue working on this business scheme. I’m not a professional. I just enjoy the snow and the mountains so this is my third time skiing with the Himalayan Ski Trek group. The fact is many groups frequently take to the slopes to ski and snowboard here in our country and have been doing so for years now. But sadly this is the only initiative that I have heard of that is working to make the activity accessible to Nepalis as well. Winter sports are generally not on our public’s radar. On top of that, it seems many assume it to be an expensive as well as dangerous leisure time activity, what with the possibilities of avalanches and accidents. Now even though, to an extent, these are valid factors, I believe most people’s speculations and fear are still exaggerated. This again comes down to lack of awareness and exposure to these sports. Personally, I have full confidence in the level of the services and preparation for us skiers up in our mountains. It’s a little sad that more people aren’t willing to give it a try yet. After losing both my legs in Afghanistan while in duty for the British Army, I have been engaged in various charity works as well as outdoor adventures. I have been involved in various mountaineering and skiing expeditions across Europe and some other countries of the world as well. When I heard about ski trips in Langtang, I was really enthused. After skiing all these years in so many different places, I thought it would be particularly special to do so in my home country. It’s what brings me here to Nepal this year. There are no chair lifts, tea bars or such extra facilities that are available in other skiing spots where the sport has caught on but I like the challenge that’s ahead of me. Along with enjoying the Gosaikunda mountains, one of my aims is to also prove to people that disability doesn’t have to limit ones activities. I think this should be a good platform to help change stereotypical mindsets towards differently-abled people. 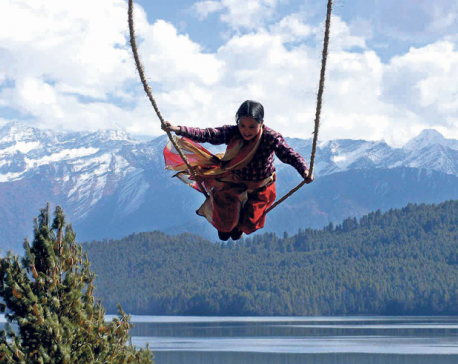 Besides, Nepal also has such potential when it comes to winter sports. If my efforts can attract more people’s attention and help promote skiing, I’d be really happy. RASUWA, Dec 29: Skiing - the renowned winter sport - was held in Gosaikunda area with an aim to promote tourism.